Bold neon pulsates in Technicolor as high as the eye can see over futuristic façades in this scene plucked from Blade Runner. Nothing beats a night out in Shanghai. 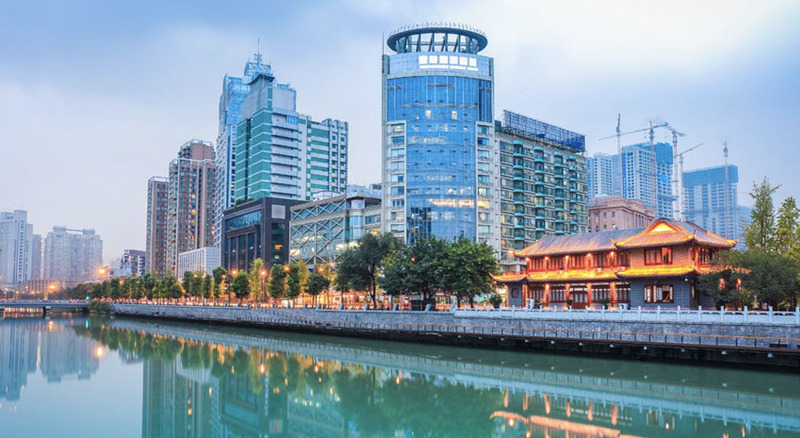 China’s cosmopolitan port city has come a long way from its small fishing village days that once fueled this booming metropolis near the mouth of the Yangtze River Delta. Come nightfall, the bustling city morphs into an otherworldly playground as office workers and hipster entrepreneurs peel away from the corporate high-rises to retreat to trendy districts in old city hubs. Over at the legendary Peace Hotel’s Jazz Bar, patrons who like to linger over a good scotch enjoy the night out. 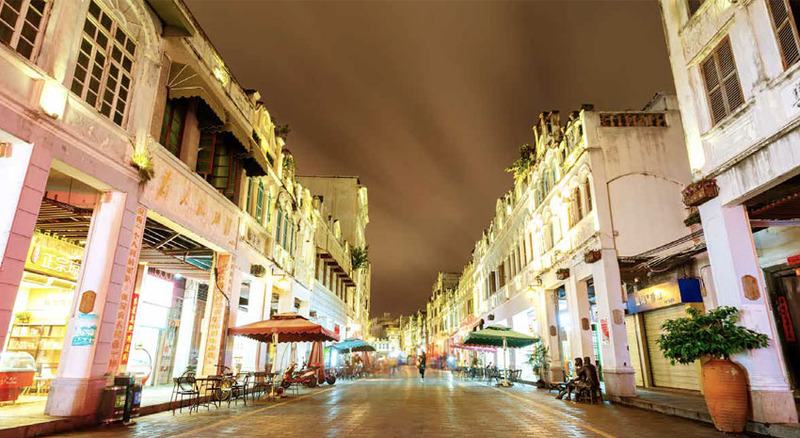 This landmark watering hole, a lively staple during the Roaring Twenties and the 1930s, was the “it” spot in Shanghai for elegant evening soirées. The interior is reminiscent of a glamorous nightclub with sleek wood furnishings, stone pillars and a long bar. The signature jazz band features a sextuplet of octogenarians who loyally play timeless classics. The LGBT community thrives during ShanghaiPRIDE, an annual festival started six years ago in a country where only a few have been known to come out. Check the festival schedule for the themed nights and opening and closing parties. The rest of the year, a rainbow shimmers around the Changning District, reputed for its LGBT bars like Eddy’s, a staple in the community named after the owner, and the stylish Lollipop Bar & Lounge nearby. 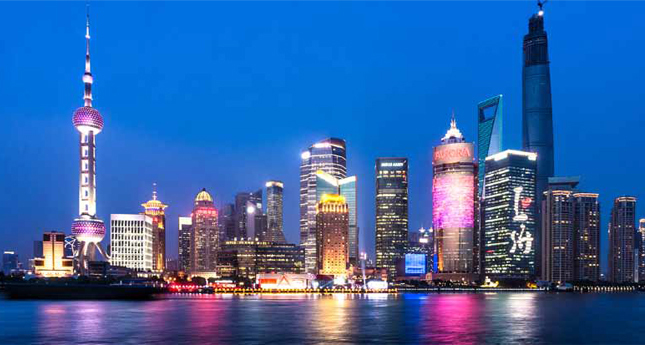 On a clear evening, ascend the Oriental Pearl Tower, open daily 8 a.m.–9:30 p.m., set in an innovative design with its perfectly pearl-shaped observatory. The city’s first skyscraper and at one time the country’s tallest structure provides a great vantage point for viewing the shifting skyline. You might catch a glimpse of young lovers embracing by the sightseeing walkway, a popular lovers’ lane, hovering 850 feet above the ground. 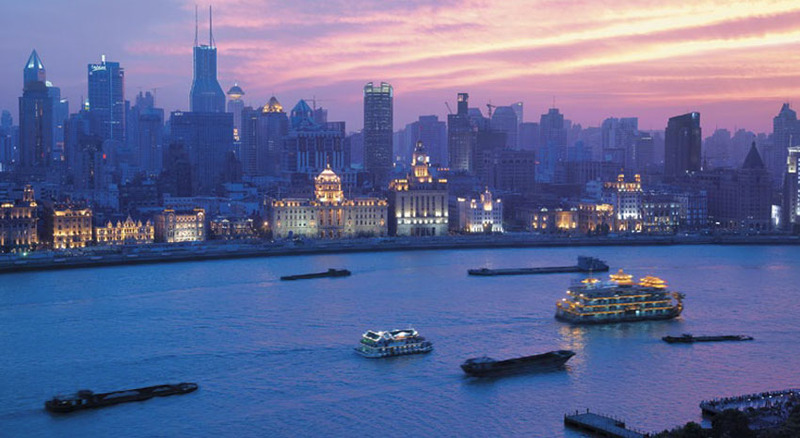 Along the Huangpu River in Shanghai, lines are common for the nightly ferry service that sails south past the steel and glass skyscrapers of the Pudong District on the eastern shore. As we cruise by the historic Bund, the stark contrast between the colonial past and the dynamism of China’s future is most evident as the boat turns to face the gleaming Nanpu Qiao suspension bridge before its return. On board, more canoodling couples exchange embraces in front of a fabulous light show that outlines the building façades in hues from moody blues to rich reds. The unwavering optimism implied by the spectacle of lights sends groups of teenage friends to huddle together by the bow and recreate the classic Leonardo DiCaprio “I’m the king of the world” pose from Titanic. Everyone laughs in unison for a group selfie. All the while, a flotilla of passing river barges chug coal and other necessities along the dark river, bearing witness to China’s industrial might. Shanghai is truly a city that never seems to sleep.